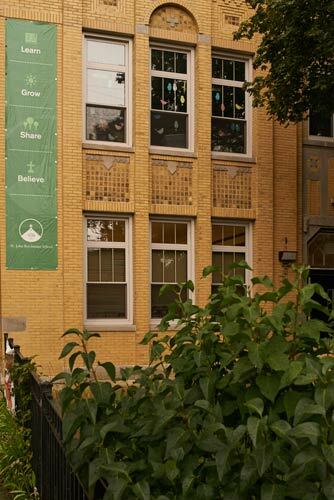 St. John Berchmans School, located in the Logan Square community in Chicago, serves PK-8th grade students. An academically challenging environment, a diverse learning atmosphere, and faith-focused teaching provide SJB students with the ability to learn without distractions and dream without limits. Like its surrounding community, SJB is rich in ethnic diversity, serving a large Hispanic community. Our current student population is comprised of 27% Hispanic, 56% Caucasian, 17% Multi-racial students. Additionally, Saint John Berchmans has a wide range of students from various socioeconomic backgrounds with 35% of students receiving financial assistance. This diversity provides a unique teaching opportunity and helps create an atmosphere where all are welcome. St. John Berchmans Catholic School embraces the teaching mission of Jesus Christ, provides a safe, welcoming learning environment that nurtures individual gifts, challenges minds, respects diversity and develops the whole child spiritually, socially, intellectually, emotionally and physically. St. John Berchmans is a Catholic elementary school committed to academic excellence and the development of creative, insightful and respectful students. Through our holistic approach to learning, we strive to deepen all students’ experiences of the Catholic faith while encouraging them to develop their own personal gifts and passions. As an anchor of the Logan Square community for over 100 years, we provide a safe, diverse and nurturing environment, where students and faculty live the teachings of Jesus with gentleness, humility, charity, joy and freedom. We celebrate the uniqueness of each child, while inspiring the confidence and the disciplined habits of mind, body and spirit necessary for students to reach their maximum potential. Our Vision is based on four Pillars of Growth: LEARN, GROW, SHARE & BELIEVE. To read our entire Vision Statement, click on the banner below. Saint John Berchmans School opened on September 3, 1907 when four Dominican Sisters of Saint Catharine welcomed 62 children to the new school. Today, the school has a full staff of dedicated teachers with fine arts, music, physical education, and Spanish taught in all grades. More children who live outside the parish boundaries are being enrolled as their parents discover the impressive quality of the academics and the location conveniently near the expressway and public transportation and each year brings an increase in enrollment. 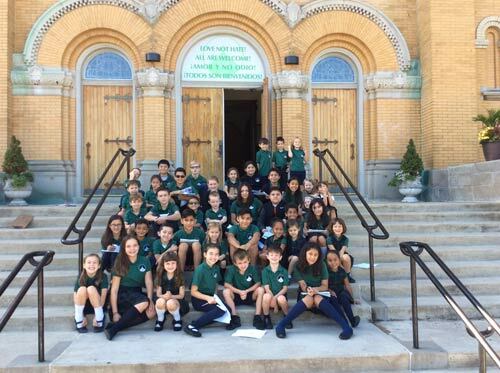 While certain things may have changed over the past 100 years, Saint John Berchmans continues to provide Christian based quality education to the families of the Logan Square and nearby communities. At Saint John Berchmans we challenge our students and our staff to LEARN, GROW, SHARE, AND BELIEVE. In this way, we nourish both the body and the soul of our community. The commitment to quality education, steeped in Christian values, continues as our school begins its second century. To read the full history of Saint John Berchmans School, please click here.